At the Supermicro 2nd Gen Intel Xeon Scalable launch, you may have seen a familiar face. 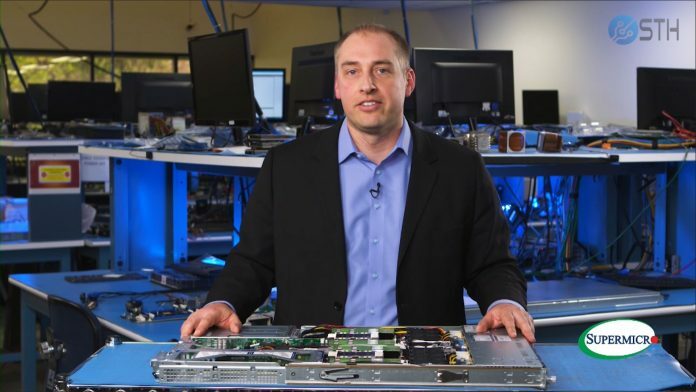 I heard through the grapevine that Supermicro was holding a virtual launch event on April 3, 2019 for the newest Intel Xeon CPUs as well as Intel Optane DCPMM. 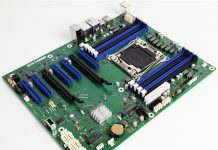 Since at STH we have the broadest set of server reviews, including many from Supermicro, I agreed to give an overview of the platform for Supermicro. Note, agreeing to do the video, I stipulated that I wanted my segment to post on STH but you can find the entire webcast launch event online. For customers, especially in the high-volume Intel Xeon Silver 4200, Xeon Gold 5200, and Xeon Gold 6200 segments, the added cores, and clock speed can mean 20-40% more performance at the same price point. Features like hardware security mitigations and DL Boost have the potential to increase that further based on workload. Intel Optane DCPMM is a new memory technology that we are seeing intense interest for given its unique properties as persistent and relatively high capacity in the DRAM channels. Supermicro, like other major Intel partners, is supporting refreshed CPUs and the new Intel Optane DCPMM memory technology. In the next week, we will have a review of an innovative Supermicro 2U4N BigTwin platform that shows how Supermicro is designing platforms to take full advantage of the new processor family and Intel Optane DCPMM. Stay tuned for more on STH. awesome vid pk! hope to see you doing more of this. 99% of ppl in these types of vid are just reading, nice to see someone we know, REALLY knows what he is talking about.